Alcohol, despite being the most widely used legal mind altering substance on the planet, is essentially poison. Prolonged heavy use of alcohol can wreak havoc on many of the systems in the human body—often damaging organs beyond repair. Even people who have not been drinking for a long time, put their health at risk when engaging in unhealthy alcohol use—such as binge drinking. Constantly battering one’s brain with alcohol can do irreparable damage, as you might imagine—considering the fact that you can power some engines with ethyl alcohol—the predominant alcohol in alcoholic beverages. Certainly, those who are at greatest risk are those who engage in heavy drinking for years. However, even people who pick up unsafe drinking practices later in life are at risk, as well. A new study focused on the relations among age, heavy drinking, and neurocognitive function, ScienceDaily reports. The researchers found that older adults who engage in heavy drinking diminished global cognitive function, learning, memory, and motor function. The findings of the study were published in Alcoholism: Clinical and Experimental Research. For those older adults who had a lifetime history of alcohol dependence (AD), the research found even more troubling results. 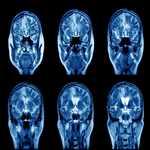 While they showed poorer function in the same parts of the brain as people who were only current heavy drinkers, they also had damage in the attention/executive domain of the brain, according to the article. Life alcohol dependence showed lasting negative consequences for neurocognitive function. If you or a loved one has a problem with alcohol, please contact Hope by The Sea to begin the journey of recovery. As the study makes clear, the longer you wait, the greater the risk of damaging the most important organ in your body.